Just when you thought you knew what to expect in a luxury SUV, the Q7 comes along with unrivaled craftsmanship and unparalleled style, creating a class all its own. Parker Audi, proudly serving Arkansas, offers great low prices, rebates, and incentives for new Audi & used Audi cars and SUVs to all of our neighbors in Little Rock, Jacksonville, Benton, Pine Bluff, Sherwood, Hot Springs, Conway, Fayetteville, or Fort Smith. We at Parker Audi look forward to serving your Audi needs, and we hope that we can assist you with your next new Audi or pre-owned Audi purchase. Because of our outstanding service and low prices, customers travel from all over Arkansas to visit Parker Audi in Little Rock. We have helped customers from Little Rock, Jacksonville, Benton, Pine Bluff, Sherwood, Hot Springs, Conway, Fayetteville, and Fort Smith, with their Audi needs, and we look forward to helping you. Parker Audi located in Little Rock, Arkansas is the premier Audi dealer of new Audi & used Audi vehicles proudly serving Little Rock, Jacksonville, Benton, Pine Bluff, Sherwood, Hot Springs, Conway, Fayetteville, and Fort Smith. At Parker Audi, we are your one stop shop for all your Audi needs. And, customer service is our number one priority. 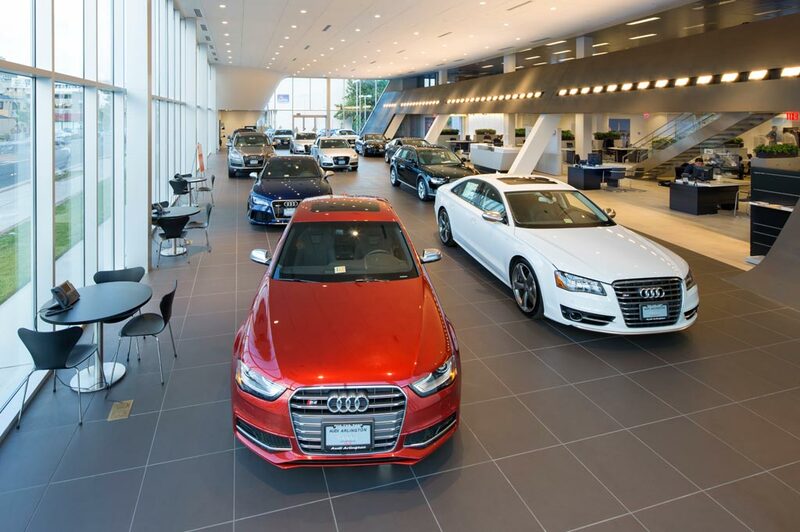 If you plan to buy an A4, A5, A6, A7, A8, TT, S4, S5, Q5, or Q7 , you will find the lowest prices and the best service at Parker Audi in Little Rock, Arkansas. Our Expert Service & Parts staff assist our Arkansas customers keep their Audi vehicles in great shape. Our state of the art service department will keep your Audi in excellent condition and our friendly staff will make your every visit to Parker Audi a pleasant one. Our Audi certified service technicians will keep your Audi running like the day you bought it. So bring your A4, A5, A6, A7,A8, TT, S4, S5, Q5, or Q7 in for your next service appointment and treat yourself and your new Audi or pre-owned Audi the way you both deserve. Just a few minutes from downtown Little Rock, and just a short trip from Benton, Jacksonville, Pine Bluff, Hot Springs, Conway, Fayetteville, and Fort Smith, customers travel from all over Arkansas because they know they will not find a better deal on a new Audi or used Audi or better customer service than at Parker Audi. We hope that you find our website helpful to your Audi needs. Although Parker Audi doesn't stay open 24 hours a day, the Parker Audi website does. Search Parker Audi's new and pre-owned inventory, request a vehicle price quote, view pictures and information about the A4, A5, A6, A7,A8, TT, S4, S5, Q5, or Q7, and learn about our latest sales and service specials . We are sure you will find our site a fast and convenient way to research and find the Audi vehicle that's right for you. Whether you are from Little Rock, Jacksonville, Benton, Pine Bluff, Sherwood, Hot Springs, Conway, Fayetteville, or Fort Smith, we hope you will give us a chance to show how Parker Audi is the best Audi dealer serving all of Arkansas. Parker Audi in Little Rock, AR treats the needs of each individual customer with paramount concern. We know that you have high expectations, and as a car dealer we enjoy the challenge of meeting and exceeding those standards each and every time. Allow us to demonstrate our commitment to excellence! Our experienced sales staff is eager to share its knowledge and enthusiasm with you. We encourage you to browse our online inventory, schedule a test drive and investigate financing options. You can also request more information about a vehicle using our online form or by calling (501) 221-2600.